Green beans are a convenient and popular addition to many recipes, and freezing is one of the best ways to preserve green beans for future use. ​Frozen green beans have more nutrients than pressure-canned beans, and giving the green beans a quick blanching in boiling water before freezing them ensures that they retain their original texture and color when you get around to cooking with them. This method uses a single layer initial freeze that prevents the green beans from clumping together. The fact that they stay loose is a big advantage when you have a quart container of frozen green beans but only need to take out half that much for a recipe. Wash the green beans well in cold water and drain them. Snap or cut off the stem ends. If the beans are at all stringy, strip off the strings by breaking the stem end and pulling it down towards the pointed end. It is, however, increasingly rare to find stringy green beans. Depending on the length of the green beans, you can either opt to leave them whole or chop them into 1- to 2-inch-long pieces. 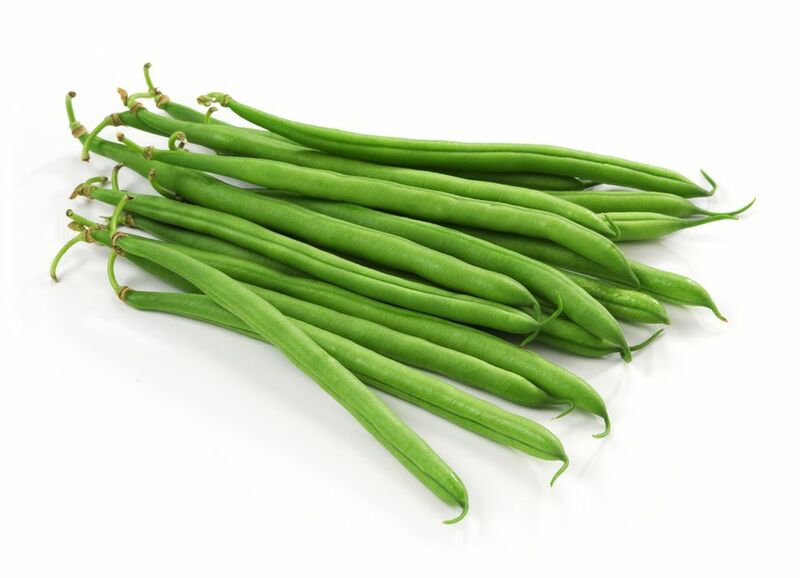 While you are preparing the green beans, have a large pot of water coming to a boil on the stove. You'll need about a gallon of water for every pound of green beans. Prepare a big bowl of ice water. Work with a small batch of beans at a time; you don't want them to be crowded in the pot as they blanch or on the baking sheet as they freeze. After you have prepped the beans, drop them into the pot of rapidly boiling water. Let them cook for 3 minutes and then drain the green beans in a colander. As an alternative, you can steam the beans for 3 minutes rather than boiling them. Immediately transfer the blanched green beans from the colander to the bowl of ice water. This stops the residual heat in the vegetables from continuing to cook them. Leave the beans in the ice water for 3 minutes. Transfer the beans back to the colander and leave them to drain well for a few minutes. Spread the blanched and chilled green beans in a single layer on a baking sheet. Don't let the beans overlap or touch one another. Freeze for 1 to 2 hours. Transfer the frozen green beans to freezer bags or containers and label them with the date. Frozen green beans keep for 1 year. They are still safe to eat after that, but their quality declines. Put the labeled containers in the freezer for use whenever you need them. It is not necessary to thaw frozen green beans before cooking them. Subtract the 3 minutes the beans were blanched from the cooking time called for in a recipe when you cook your frozen green beans. You can use this same method to blanch and freeze wax beans.